Paper Crafts by Candace: Go Wild! Good Morning and Happy Monday! 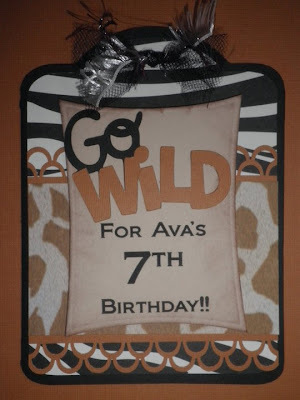 Today I am sharing my "Go Wild" birthday invitations, banner and favors that I made for a customer. When I was first asked to make this theme I was lost and had no idea how I was going to incorporate both zebra (black and white) and giraffe (brown and light brown) into the same invitation. Seemed like there would be ALOT going on.. in the end I LOVE how this turned out and the lady I made them for loves them as well. She actually sent the picture of my invitation off to the cake maker and the cake is being designed to match MY invitations!! I'm so excited about that!! Here is the invitation.. "Go Wild" is cut from Create a Critter. The shape of the invitations was cut from Tags Bags Boxes and More. 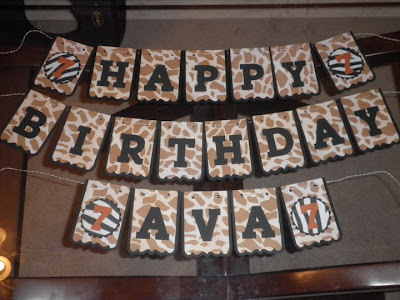 I then used my spellbinders to cut out the shape with the words "For Ava's 7th Birthday!" 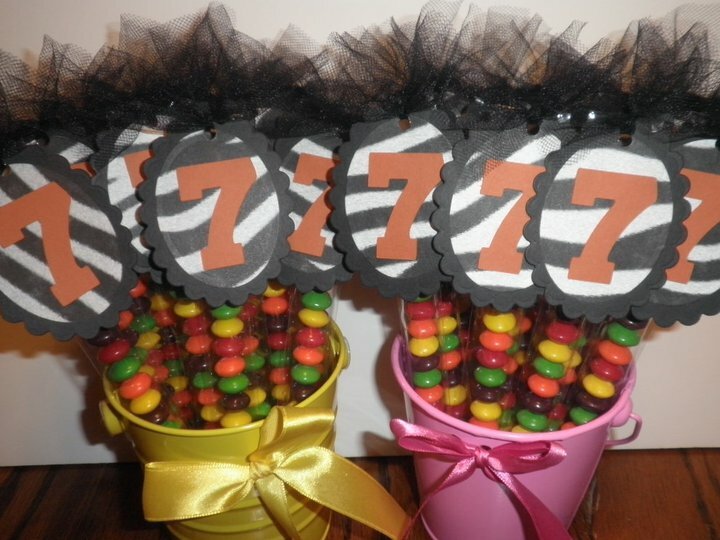 And last but not least, the Skittle Stick favors!! These are AWESOME!!! You did such a wonderful job with the zebra and giraffe theme!!! Great job, I like how you mixed the zebra and giraffe!